Most of you have probably played at least a game from the Grand Theft Auto series. 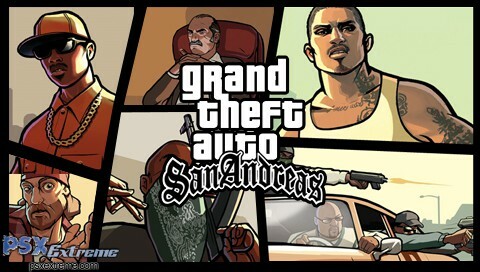 GTA San Andreas is one of the best games ever launched within this series. It delivered an incredible sense of freedom, unrivaled in many people’s opinions until Grand Theft Auto 5. With the huge variety of vehicles at your disposal, such as cars, trains, bikes, bicycles, planes, tanks, etc., large number of missions, funny characters, diversified weaponry, various landscapes and altogether huge map, Grand Theft Auto: San Andreas was just a huge pleasure and offered an excellent experience. And now, nine years after the game made its debut, we will finally get to see it in all its glory on Android. To give it a somewhat new feeling, the creators will deliver this game with remastered graphics, such as “dynamic and detailed shadows, greater draw distance, an enriched color palette, plus enhanced character and car models” which we are anxious to see and new touch-screen controls that will allow you to see the buttons only at the moments when you actually need them. Besides these things, the game will come with controller support in order to satisfy those that wish to use gamepads. We do not know yet when this game will be launched but we are expecting it somewhere before Christmas. It would seem only natural to be released then. What we would also like to get our hands on are requirements for this game. We do know it will be launched for Android, iOS, Windows Mobile and Amazon Kindle devices. We hope you’re as excited as we are regarding this announcement. By the December you will have the occasion to meet again with CJ and the guys from the Grove Street Families and take over Los Santos, San Fiero and Las Venturas. So what do you think this game is going to be like? If you want to read the official announcement from Rockstar then click here.